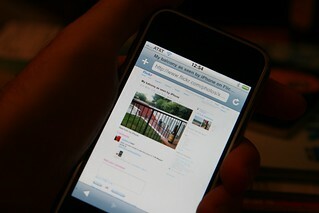 Flickr works pretty well on the iPhone. Here I am looking at a pic I took with the iPhone on Flickr on the iPhone. That's so meta.